Home / Computers/technology / Mobile / Video: Samsung's Galaxy Note 8 Is Here! The Galaxy Note is officially live and Samsung is hopeful that consumers who appreciate the Note’s features – and its signature stylus – will be willing to give the brand another chance after months of hearing warnings aboard aeroplanes and other public transit about the dangers and potential for destruction posed by the Note 7. Preorders are now available and all the major U.S. carriers and an unlocked model will be available and the Note 8 will be released in stores on September 15th. 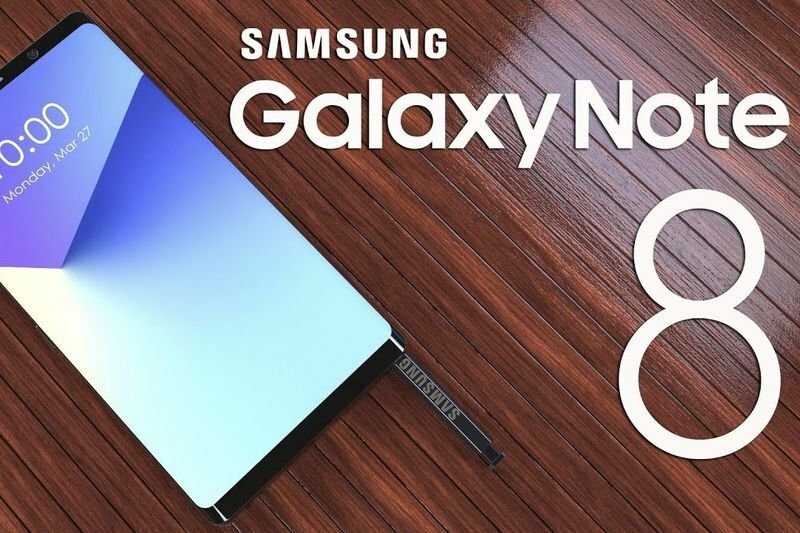 The leaked photos and specs for the Note 8 have been accurate; it leans heavily on the design of the Galaxy S8 Plus but features a display that’s slightly larger (6.3 inches instead of 6.2 inches), corners that are more squared off, and less curvature to the front side edges. The Note 8 is a bit heftier than the Galaxy S8 Plus and consumers can choose between the colour options of black, grey, gold, and blue. Samsung says the S Pen has more levels of pressure sensitivity and is water resistant this time around, but in reality, it’s basically the same as last year's S Pen. The Note 8 features a Snapdragon 835 processor, 64GB of storage (with microSD support), and 6GB of RAM. The battery is 3300mAh, so clearly Samsung is playing it safe this time round. It’s incredibly difficult to spot the display size difference with the two phones side by side, but there’s another big differentiator around the back of the smartphone; a dual-lens camera. The camera is 12-megapixels with a f/1.7 wide-angle lens and a f/2.4 telephoto lens and both these lenses offer optical image stabilization. The Note 8 ships with Android 7.1.1 and the overall software experience is basically identical to the Galaxy S8's. Despite all the similarities between the Note 8 and Galaxy S8, it seems that Samsung will be relying on the S Pen and the company's first-ever dual camera to upsell the smartphone to the consumers but, alas, the Note is back – which you can see in the feature video below –and Samsung believes there are still consumers out there who love it.